Mersea John's Models: Play your cards right! Sorry I havnt posted for a while guys I have been busy moving house, but we're all settled in now so modelling should resume soon! 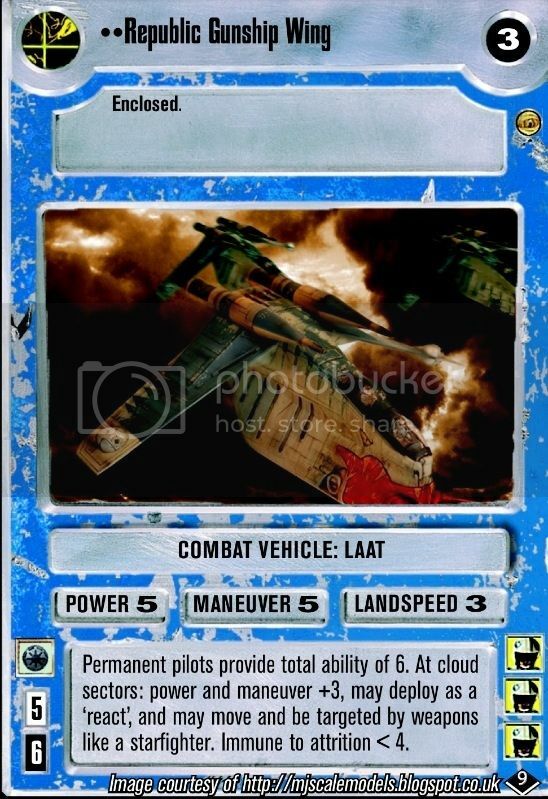 Although there's been no actual model work done I have been contacted by a Star Wars Card Game Company requesting the use of my Repuplic Gunship as a picture for there card game, I think they did an awesome job!